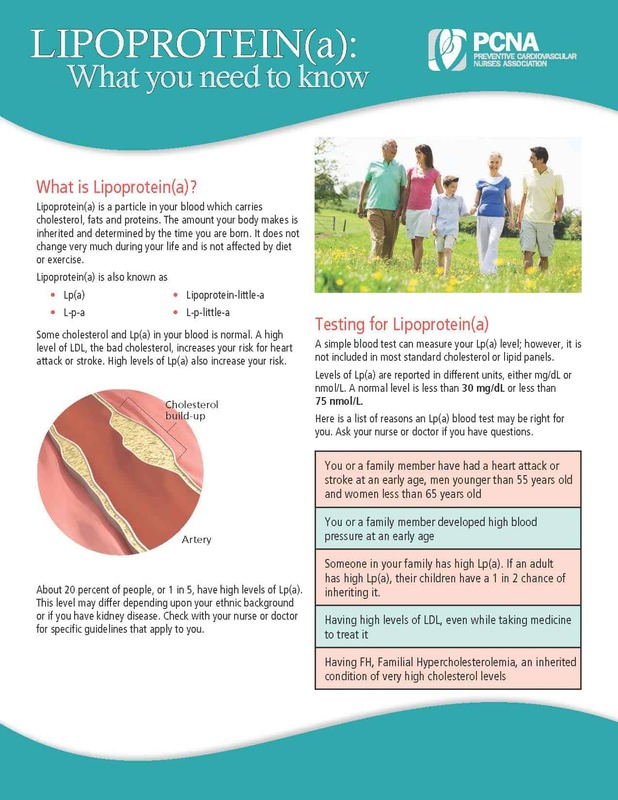 The Preventive Cardiovascular Nurses Association has developed this series of Lipoprotein(a) handouts for nurses and other health care providers to use with patients. Join as a member today to take advantage of member pricing. Patients learn how high Lp(a) levels affect their heart and what they can do to reduce their risks. Easy-to-read text and colorful charts and graphics help patients learn about lab tests, medicines and healthy lifestyle.